It is sometimes easy to tell when some things are “deficient” or “failing”. When your pipes burst and you find your kitchen floor flooded, they have clearly failed and are deficient. A plumber might be blamed for the problem, or called to sort out the mess. However, what about “retained EU law”? Could you spot when that was deficient? Or failing? Could you hazard any guess at what a “retained EU law” might be? If the EU (Withdrawal) Bill, debated in the House of Commons for the first time yesterday, becomes law; these might be questions with which lawyers and judges may be charged, but for which there may be no easy answer. 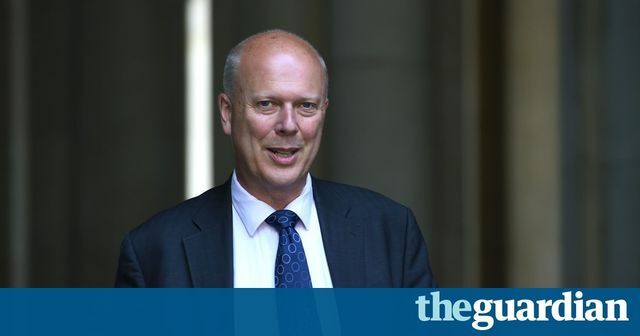 The former Lord Chancellor Chris Grayling MP – himself no known fan of lawyers or judges - berates critics of the Bill for failing to jump on-board. Earlier this week, he told press that the Bill’s purpose was to save our legal system from a post-Brexit legal “cliff-edge” or “vacuum” (depending on which of his metaphors you might prefer). On his route around the various news studios, Mr Grayling failed to say much about what the Bill would actually do. He was clear that whatever the Bill does to pipe EU law into the domestic legal framework, it will be something that “this government and future governments will be free to modify as they see fit”. In light of the principle of Parliamentary sovereignty, that statement should come as a shock to no-one. However, the reason this Bill is a cause for such controversy is that it proposes unprecedented and ill-defined delegations of power from Parliament and to the Executive and it does so in a way which is entirely inaccessible except to those with a keen interest in drafting and a strong cup of tea. It is, without a doubt, the most significant piece of constitutional legislation for a generation. Reshaping our constitution for a post-post-Brexit world? I have had more to say elsewhere about the Bill’s myriad of problems – and how it is a bad deal for the rights we enjoy by virtue of the minimum standards in EU law and the Charter of Fundamental Rights of the EU, given effect now in our law by the European Communities Act 1972. Yesterday’s lengthy debate showed exactly how many problems there are to address. Just one issue considered briefly serves to highlight the constitutional difficulties this Bill will pose. What role will there be for public law and judicial interpretation of the Bill in remedying some of its worst gaps and excesses? The Bill proposes to take a “snap-shot” of EU law as it stands on “exit day” (which may be different for different purposes) and import it into UK law as “retained EU law”. This will – in Clauses 2-5 – pipe decades of rights we have enjoyed by virtue of the Treaties, Regulations, Directives and case-law of the Court of Justice of the European Union which make up the body of EU law into domestic law. There are crucial carve outs being sought by the Government from its promise that all will remain the same the day after exit day. Not least, the Charter of Fundamental Rights of the EU is not incorporated. It is far from clear what that will mean for individuals seeking to rely on rights in retained EU law – or seeking to challenge its effects. Now, we can all challenge the legality of EU instruments on public law grounds derived from EU law. The Bill appears instead to leave instead the scope of such challenge to Ministers to determine (see Schedule 1(1)). So, despite the promise of the Government that our legal rights would be the same, they start to look very different. Remedies we have now before the domestic courts, and where we enjoy the protection of the Court of Justice of the EU as a backstop, will drop away. Rather than repatriate powers previously enjoyed by the CJEU to national courts, or even to Parliament, the scope of judicial power is devolved for Ministers to determine. Today, a measure of EU law must comply with the minimum standards in the EU Charter of Fundamental Rights. If it doesn’t, its validity can be challenged before the courts. The Government says that leaving out the Charter’s protection from the Bill doesn’t matter. The General Principles of EU law are retained (Clause 5) and that should be good enough, because they’re essentially “the same”. Putting aside the question of how difficult it may be to identify the substance of the General Principles for the purposes of accessibility and legal certainty, the Bill expressly prohibits anyone – including the domestic courts relying on the General Principles as the basis of a useful challenge (See Schedule 1(2) – (3)). Although the Principles might be used as an interpretative tool, the Bill makes clear they cannot form the basis for a freestanding cause of action. The domestic courts are instructed that they cannot disapply or quash any enactment (including secondary legislation under the Bill); nor quash any conduct or other “otherwise decide it is unlawful” because it is incompatible with the General Principles (Schedule 1(3)). For a Government which appears inherently hostile to the legacy of our EU membership, it appears to be proposing significant steps to shield EU law from challenges that were previously seen as routine and from judicial oversight seen as constitutionally critical. As Keir Starmer QC MP yesterday pointed out, to some laughter, it is somewhat ironic that the Minister tasked with making this argument was the lead litigant in Davis & Watson, a case which helped establish the value of the Charter in our domestic courts and subsequently at the CJEU. Individuals in other EU Member States will retain the ability to challenge the application of EU law. Whether and how UK citizens will be able to challenge retained EU law will be left to Ministers to determine. Far from repatriating powers to our domestic courts, this looks very much like an exercise in circumscribing them. It is far from clear that ordinary domestic public law could provide any alternative solution. The Bill provides there is no right in domestic law to challenge any retained EU law on the basis that an EU instrument is invalid (Schedule (1)(1)). The question then becomes, can a challenge be brought to the operation of retained EU law as domestic law? That clearly depends on its nature. Public law remedies in respect of primary legislation are extremely limited. Schedule 8(19) makes clear only that retained direct EU legislation will be treated as primary legislation for the purposes of the Human Rights Act 1998 (this covers only some of the EU law retained – deriving mostly from directly effective regulations (Clause 3)). Does this mean that all retained EU law is to be treated like secondary legislation for all other purposes? Will domestic judges be able to consider whether retained EU law can be set aside or quashed for reasons of incompatibility with fundamental common law rights? How will the principle of legality apply to this hither-to unknown new category of constitutional instrument? The Supreme Court had much to say about the vitality of the rule of law and the principle of legality in R (Unison) v Lord Chancellor  UKSC 51. Will it now be left to the courts to determine whether the language in the Bill is designed to act as an ouster to those significant constitutional standards? The Bill provides Ministers with the power to make changes to the law in secondary legislation which they consider "appropriate to prevent, remedy or mitigate" either a "failure" of the retained law to "operate effectively" or "any other deficiency in retained EU law" (Clause 7). These deficiencies are not defined, but are supplemented by a broad and non-exhaustive list of circumstances where the Minister might act. This is a significant abrogation of constitutional power from Parliament to the Executive. Technical amendments to the application of retained EU law shouldn’t waste parliamentary time. However, these powers appear overbroad. If passed without amendment, could the ordinary public law provide a remedy? Well, it depends. As statutory instruments, the Human Rights Act 1998 will clearly apply. Any overreach which breaches Convention rights might be constrained, and the instruments could be quashed. However, experience shows how difficult it can be to have the general application of secondary legislation overturned in a rights-based challenge (see, for example, R (on the application of Quila) v Secretary of State for the Home Department  UKSC 48;  1 AC 621). The limits of an ordinary public law challenge remain clear. While there are ambiguities in the powers created by the Bill, it will be open to judges to determine that any measures taken are ultra-vires and unlawful. The Courts might consider what Parliament intended “deficient” or “failing” to mean in respect of any individual instrument; they could quash any measure too broad and those which fail to respect the rule of law and the fundamental rights protected by the common law. Such challenges are not, of course, simple. The judiciary are very slow to be persuaded that they should set aside measures in secondary legislation, which Parliament has approved. These claims involve costs risks that many individuals and organisations will be unwilling to take (particularly given steps taken by Parliament in the Courts and Justice Act 2015 to make pursuit of judicial review yet more difficult). Clarity can only be provided by the courts, if the cases are brought. It might yet be the case that, if barriers to Ministerial power are not introduced by Parliament, any safety net that the Courts can deploy will only be available to those with sufficient interest and deep pockets. The problems in this Bill are not insignificant and can only be solved with the weight of close Parliamentary scrutiny. Parliament now remains sovereign. If it concedes to the abrogation of power proposed in this Bill, it will be Parliament that has signed into law a significant shift in our understanding of our constitutional and legislative settlement. Whatever the post-Brexit picture is to be; Parliament must set the terms. In his parting missive as President of the Supreme Court, Lord Neuberger said as much. If gaps are left in the Bill, MPs and Peers should not expect courts to come to the rescue when people find their rights – from health and safety and working time to data protection and consumer rights – are shrinking. The role of judges within our unwritten constitution remains subject to rabid criticism by those who cry “judicial activism” like a battle-hymn. If the “Parliamentary plumbers” leave it to “Judicial joiners” to repair a mess they leave behind; they simply may not have the right tools for the job. If the judiciary is left to make sense of an untidy and undemocratic law, any complaints should be directed at those who bodged the job in the first place. There is work yet to be done at Westminster. Politicians of all parties should roll up their sleeves. Not so Great? Unpicking the human rights impacts of the (Great) Repeal. EU (Withdrawal) Bill: You say tomato; I say unprecedented Executive power.